Is Too Much Booze Bringing Your Life Down? When we’re young, most of us enjoy going out to parties. If anything, drinking alcohol at this age is encouraged and even somewhat expected. When you’re in college or university most of us are sucked in by cheap student bars and even cheaper drinks. Parties are widely accepted, and it’s a time in your life where people know you are letting your hair down a bit and having fun. As time goes on however, most people’s relationship with alcohol changes. When you get a job, have a family or have other commitments it becomes more of something you enjoy on special occasions. A full night partying might be replaced with a glass of wine at a dinner party. However, if you’re still drinking like you did when you were young, it can be a bit of a problem and could be a sign of addiction. According to https://www.psychologytoday.com, addiction is generally divided into two categories: chemical and psychological addiction. Chemical, also known as physical addiction occurs when the body is physically dependent on a substance. It cannot properly function without it, and you will develop strong withdrawal symptoms. Alcohol, certain drugs, and cigarettes are all examples of this kind of addiction. Psychological addiction is when an emotion drives you to an action, such as shopping or gambling- while your body isn't dependent the brain can give very intense urges and cravings meaning it’s still incredibly difficult to overcome. It gets tricky when the two combine. 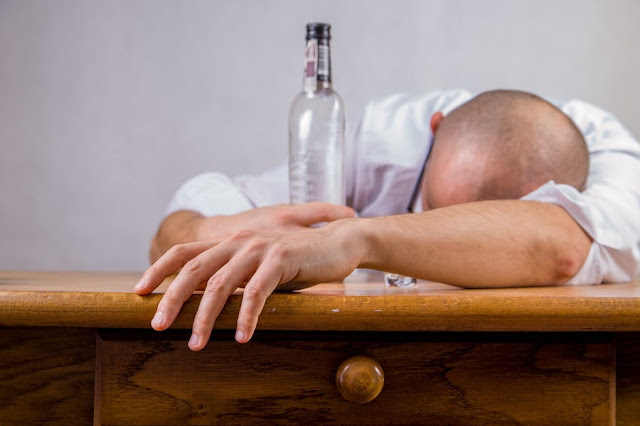 In the case of physical addiction like with alcohol, you are often psychologically dependent too- http://alcoholrehab.com explains more on this. If you’re battling with an addiction, the first step is to admit you have a problem. People can be in denial for years, which is easily done when it comes to drinking. No one will bat an eyelid at someone having a glass of wine at a social function or a beer after work. But the problem comes when you become dependent on these kinds of things. Perhaps you hide the true amount you drink from people, or feel guilty about it. If you think things have taken a turn in this direction, you could talk to your GP, a friend or phone up a helpline. From there you can work out the steps to recovery to get back on track- it’s the best thing for your mental and physical health. The right treatment will depend on your current health and your personal situation, but spending time in a rehab center like https://www.orlandorecovery.com/ could be one way to go. As well as help you to detox, it could aid you in gaining a new perspective. Addiction doesn't discriminate, it can affect any gender, race, religion, creed and social class. Know if you’re suffering you’re not alone, and with the right help you can go on to lead a happy and fruitful life. Once you beat addiction, every area of your life will improve, and you can go back to feeling like yourself again. How To Do A Sew In? Colgate-Palmolive Available Now at Lazada! Who is Dr. Paolo Bellosillo?